In life, Lewis Vaughn’s passion was orchids. In death, they became his legacy. In the late 1930s, Lewis and his wife, Varina, bought their first orchid plant. They were always interested in plants and horticulture. “We grew everything we could find,” said Vaughn. “Somebody said, ‘Try an orchid,’ and I bought one in a pot, and the blame thing bloomed.” That was the start of their love of orchids. Over the next 50 years, they continued to grow and cultivate more than 12,000 orchids on their beautiful 6-acre estate in West Palm Beach, Florida. 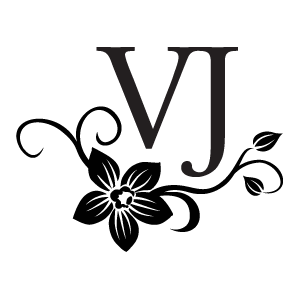 The Vaughn’s both became involved in the American Orchid Society (AOS), both serving as judges as well as honorary presidents. In 1984, Vaughn invited the AOS to move their headquarters to his estate. 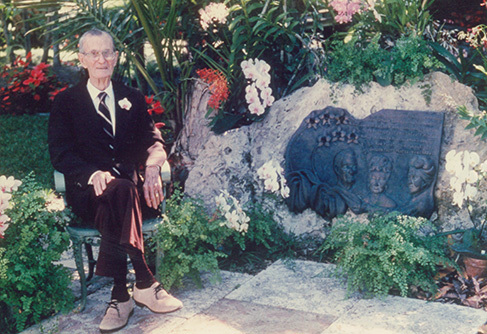 Upon his death in 1988, he donated the estate, and his life’s work and love, to the American Orchid Society (AOS) and the City of West Palm Beach. In later years, the AOS relocated to Fairchild Gardens, where the remains of the AOS and Vaughn’s collection of orchids reside today.